SEO, otherwise known as Search Engine Optimization, is an unsurpassable tool used by businesses big and small. SEO is a tool that can enhance your website traffic, gain customers, and increase your visibility online. However, SEO can be a fickle friend, as in using techniques to get a leg up that are frowned upon by Google can result in penalties that can set your site back months or even years. Some business owners, especially for small businesses, donâ€™t understand all of the intricacies involved in SEO practices. Because of this, hiring an expert is crucial. This is where SerpHaus Boca Raton SEO can help. SerpHaus SEO is a YEXT certified partner who has significant experience with high rankings in Google search engine result pages for some of the largest companies, and a seasoned variety of others. For their customers in Boca Raton, SerpHaus SEO is now offering a free website audit for anyone who would be interested in a quote. 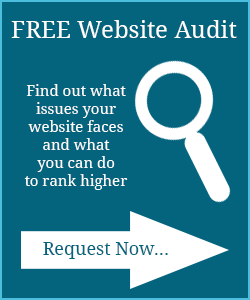 A website audit can efficiently determine the strengths and weaknesses of your website. By doing this, SerpHaus can get a firm understanding of what techniques are already working for your website so that they can enhance them even more, and also learn where your website might be lacking so they can make that area stronger. SerpHaus will be able to implement new ideas in order to improve your visibility and drive even more traffic to your website. After their analysis, you would then receive a comprehensive outline of strategies that would improve your website with step by step information on how to achieve each new goal. A spokesperson for SerpHaus SEO explained recently what makes their company exponentially more experienced as opposed to other SEO companies, and why their approach continues to yield positive results. Their unique approach surpasses that of their competitors, and by offering a free audit for their potential customers they are showing them the benefits and how much their website can grow by implementing their techniques. Unlike other companies, the SerpHaus approach focuses on long term results as opposed to quick numbers that might be a result of â€œblack hatâ€ techniques. 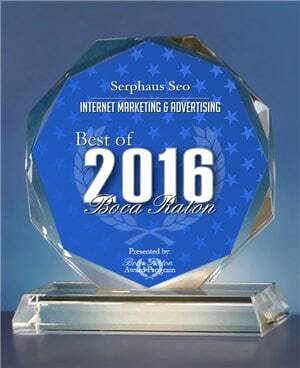 About SerpHaus SEO: SerpHaus SEO is a search engine optimization company based in Boca Raton, Florida. Their SEO strategy surpasses that of the competition by continuously achieving the coveted first page ranking for all clients. SerpHaus SEO offers long term solutions for online visibility for a variety of companies. Their talent and passion for SEO, social media and web design is unsurpassed. If you are interested in more information, visit http://serphaus.com.